The Short Sleeve Polo with V-shaped placket has contrast denim fabric inside. 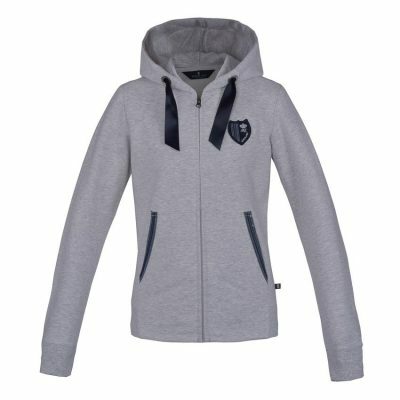 Fabulous stretchy material makes this the most comfortable wear. 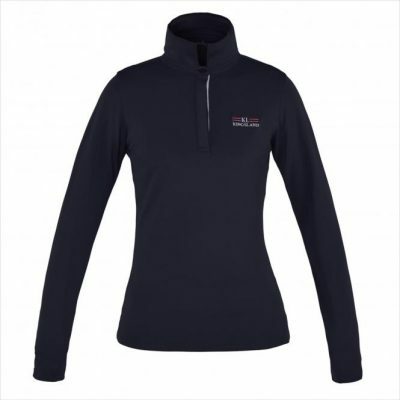 Contrast lurex rib fabric at sleeve bottom and 3D logo print on front panel gives the Polo even more cachet. The Sleeveless Polo is also made of durable end soft polyester piqué. The rib collar and armhole have small gold lurex detailed stripes. Plus; fabric with odourcontrol Polygiene finish. Glitter on B179, T028, W034. Light gold press buttons and shiny tape at the placket inside makes the well-known piqué polo loved by many. The vertical partitions seams are stitched with sparkling yarn. 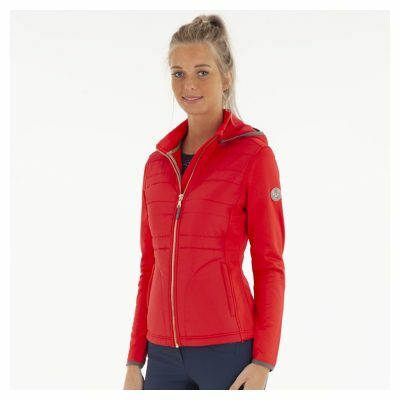 Plus; Polygiene finish and UV-protective. 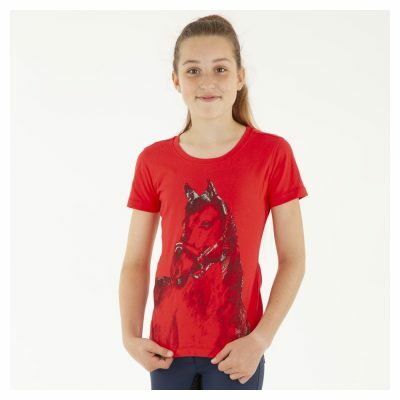 Breathable, stretch fabric, wicking, polygiene odour free and UV protective. This velvety ANKY® saddle pad is extra chic thanks to its piping with sparkling gemstones and its silicone glitter print! 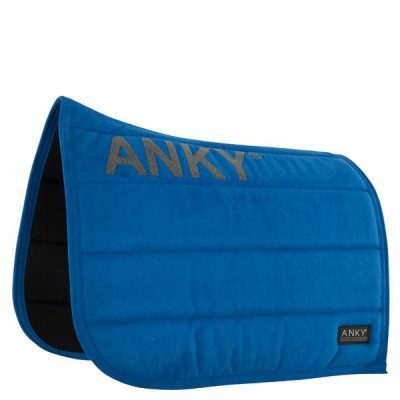 This anatomically shaped ANKY® saddle pad features a velvety outer made of synthetic suede and a moisture regulating, breathable Coolmax® lining. The pad is evenly filled with a synthetic padding. The non-slip letters on both sides of the pad, provide a more stable saddle position. ANKY® pads are known for their ability to remain perfectly in place, dry quickly and maintain their aesthetic qualities for a long time. The pad has girth loops with Velcro and can be put in the washing machine at 30°C. 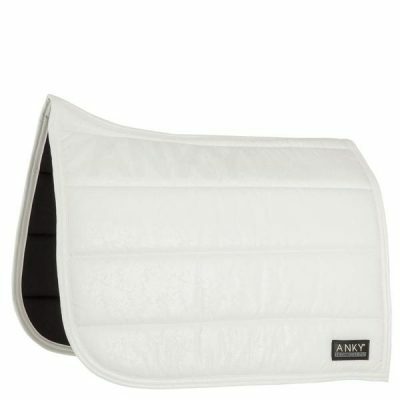 This anatomically shaped ANKY® saddle pad features a velvety outer made of synthetic suede and a moisture regulating, breathable Coolmax® lining. The pad is evenly filled with a synthetic padding. The non-slip letters on both sides of the pad, provide a more stable saddle position. ANKY® pads are known for their ability to remain perfectly in place, dry quickly and maintain their aesthetic qualities for a long time. Machine washable at 30°C.